Fany Gerson is a big name in the New York City sweets scene. She’s the chef and a co-owner of the hugely popular Dough and the brains behind Mexican treats specialist La Newyorkina; she also did a stint at Eleven Madison Park and once developed recipes for Rosa Mexicana. 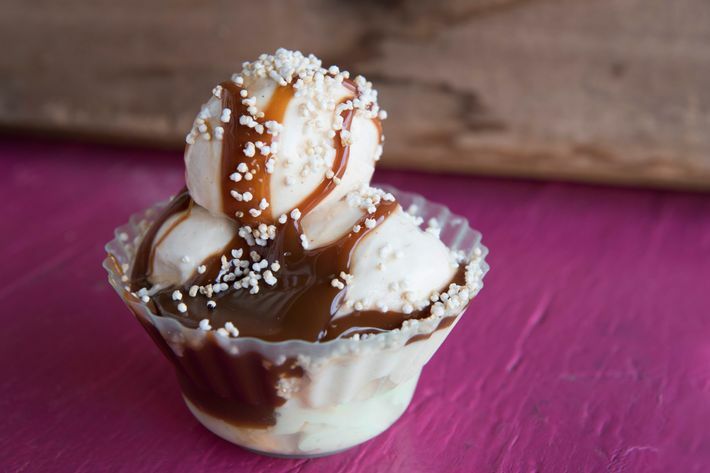 A native of Mexico City, she’s authored a pair of books on Mexican desserts as well — the Popsicle bible Paletas and the fantastic, James Beard–nominated My Sweet Mexico — and is currently working on a third about the country’s ice creams. 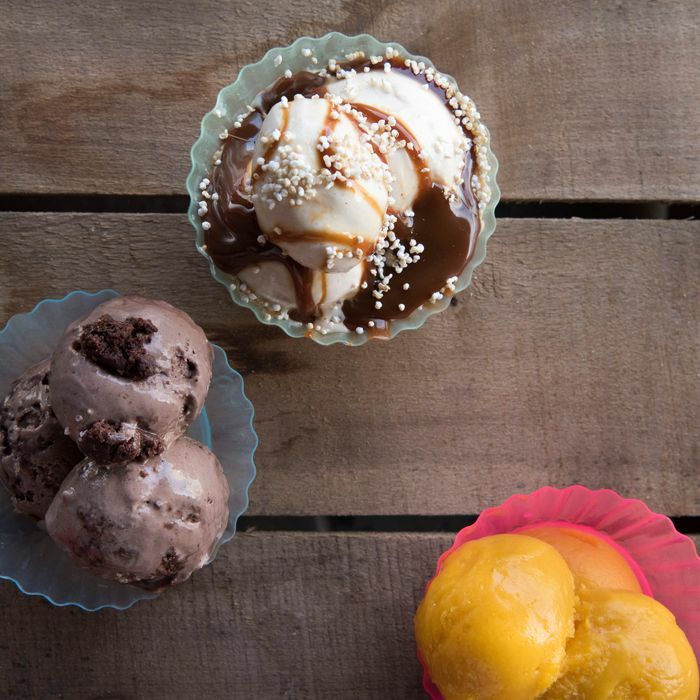 Now, five years after launching La Newyorkina, she’s opening a Mexican-inspired ice-cream and sweets shop of the same name. Set to open in late June or early July — a.k.a. peak ice-cream season — the new store is several years in the making. Gerson, who took over the recently vacated Peanut Butter & Co. space at 240 Sullivan Street near Washington Square Park, has been plotting the store since 2011, but she faced a long and rocky road to recovery after Hurricane Sandy wrecked her production facility. As such, this shop will be her first proper brick-and-mortar, though she has operated a retail counter, La Tiendita, out of her Red Hook facility since 2014 and pop-ups all around the city. What to expect? Lots and lots of treats, frozen and otherwise, south-of-the-border style. 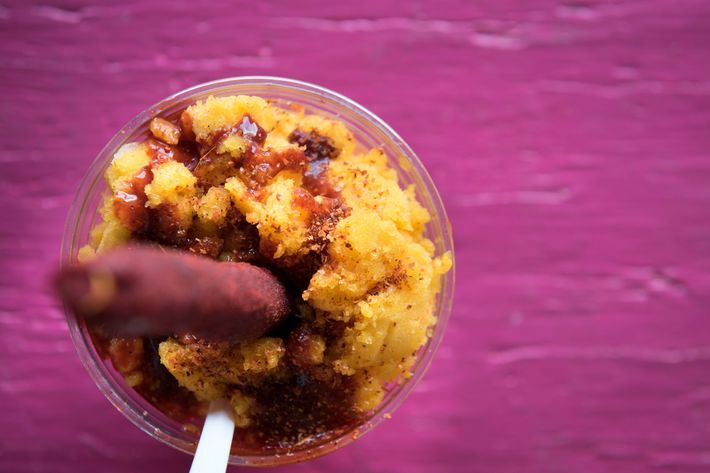 There will be “at least” 30 to 40 different flavors of her acclaimed paletas as well as the fruit-flavored chamuyadas, which Gerson describes as a cross between shaved ice and a slushy. Ice cream will come in, Gerson expects, possibly 15 different flavors, and there will be a real emphasis on sorbet, which is a big deal in Mexico but she thinks is an afterthought in the States. Most excitingly, she will debut a brand-new frozen dessert: nieve de garrafa, a more obscure treat that is probably unknown to most New Yorkers. Unlike traditional ice cream, it is not churned but hand-made with a paddle and — because it can’t hold up overnight — has to be made fresh each day. Described by Gerson as “custard in its purest form,” it will likely be available in three flavors: nut (such as pecan or pink pine nut); requesón, a salty ricotta-like cheese; and a creamy one with seasonal fruit.